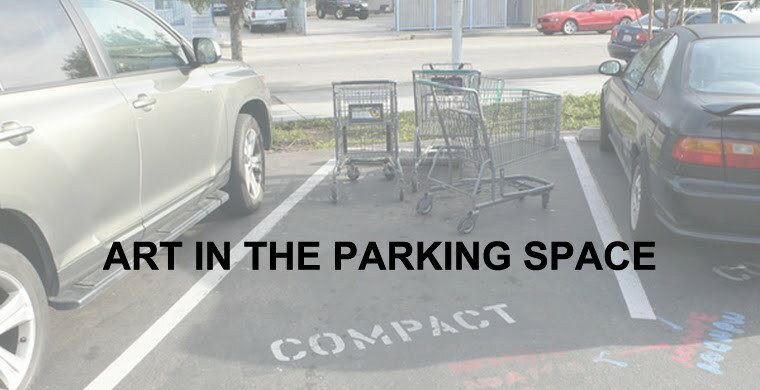 LAXART is pleased to announce the final installation of Art in the Parking Space to be held on Thursday, July 26th at LAXART, commencing at 7pm. This event will be guest curated by Amanda Hunt, Curator at LAXART and will bring to a close this year long project initiated by artists Elena Bajo and Warren Neidich. Over the course of the past year, artists have been invited to create temporary and ephemeral artworks in parking spaces across Los Angeles. 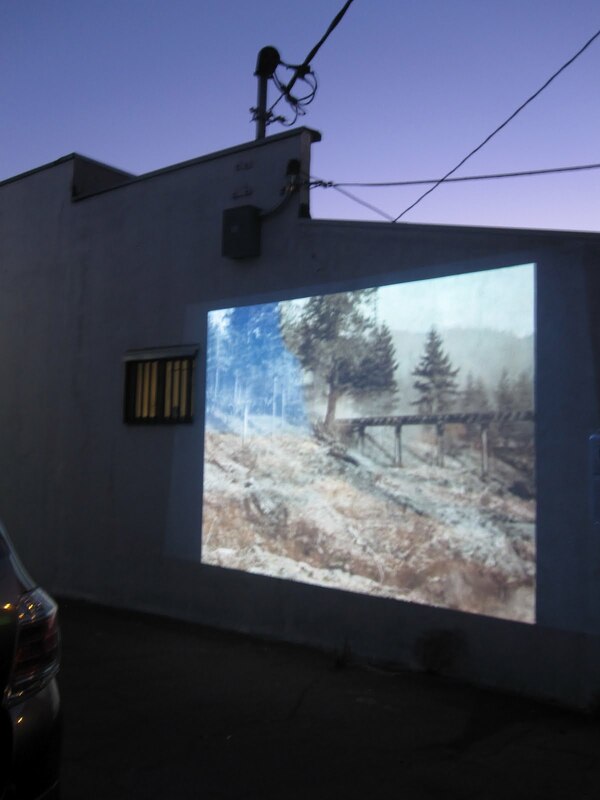 For the final rendition, seven artists will create site-specific projects in the parking lot and environment surrounding the gallery. In order to de-emphasize the hermetic conditions of the white cube, these artists will expand boundaries of presentation, and encourage the contemplation of aesthetic production to other sites of cultural production and play. Participating Artists: Sarah Beadle, Yvette Brackman, Jeremiah Day, An Te Liu, Nikhil Murthy, Stephen Neidich, David Zuttermeister Sarah Beadle is a Los Angeles-based artist, curator, and writer. She works with photography, architectural intervention, and event production to challenge discourses of pleasure, power, and consumption. Testing notions of public and private ethics, her work is site-sensitive, process driven, and narrative based. Her recent work examines the cultural regulation of acts of reciprocity, especially around food and service labor. Currently, she is the invited artist at the MAK Center for Art and Architecture’s Artists + Institutions series where she is directing a sequence of culinary investigations into Laurel Canyon’s social history with the collaborative ensemble Notch. Yvette Brackman is an American artist who has shown in exhibitions around the world. Her work has undertones of Russian Constructivism and is influenced by the history Soviet Union, from which her family immigrated in 1959. Through the use of crafted elements and time-based media, Brackman creates work that explores the ideas of social responsibility and relations. Jeremiah Day graduated from University of California at Los Angeles in 1997 and lived and worked in Los Angeles until moving to Holland in 2003 to attend the Rijksakademie. From 2000 to 2002 he was artist-in-residence at Beyond Baroque in Venice. Recent exhibitions and performances of Day's work have been at Ludlow 38 in New York and the Stedelijk Museum Amsterdam, as well as the upcoming Shanghai Biennial. An Te Liu's installations and sculptures explore issues of function, dysfunction and cultural coding in our built and hypothesized environments. He was the Canada Council's Artist in Residence at the Künstlerhaus Bethanien, Berlin in 2008 and has recently exhibited at MOCCA, The Louisiana Museum of Modern Art in Denmark, the EV+A in Ireland, and SFMOMA. His work has been widely published and is included in the permanent collections of SFMOMA, the Art Institute of Chicago and the Art Gallery of Ontario. He lives and works in Toronto and is represented by MKG127. Nikhil Murthy lives and work in Los Angeles CA. He received his MFA in Art from Calarts in 2006 and his BA in Fine Arts and BS in Physics from UCSD in 2001. He works in video, painting, sculpture and collage. The work is interested in the production of empathy and dignity through the subject matter of money, hip-hop, still life and antagonism. He has shown nationally including Cirrus Gallery, Armory Center for the Arts, Santa Barbara Contemporary Art Forum and the Dependent Art Fair. Stephen Neidich is a New York artist based in Los Angeles who works in installation, sculpture and performance. 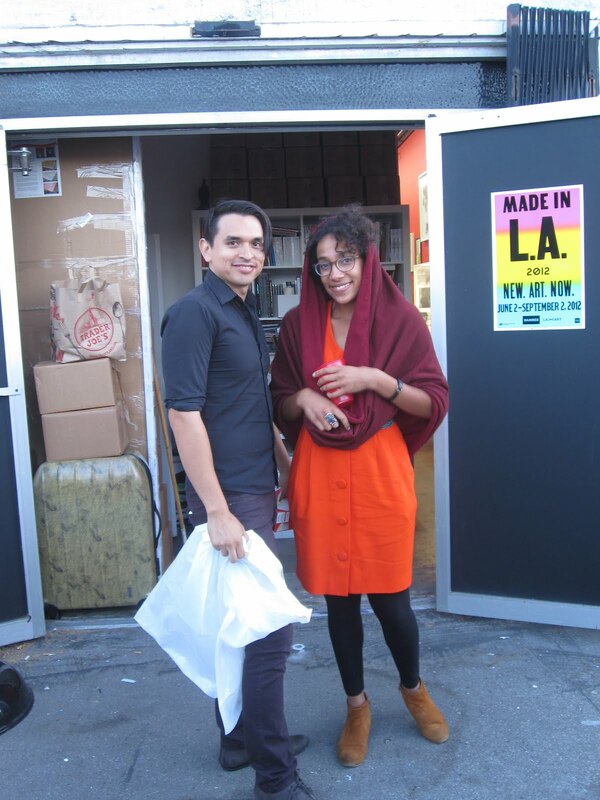 He currently attends the CalArts MFA program and will graduate in 2013. Neidich has exhibited at the Kunsthalle Vienna, at, Loop-Raum fur Aktuelle Kunst, Tape Modern and HBC gallery in Berlin, and the Kunsthalle Galapagos and 211 Elizabeth Street in New York. His work is in the Speyer Collection and Taubman Collections in New York. David Zuttermeister is a Los Angeles artist and recent recipient of an MFA from UCLA. He is looking for a studio.